Miles Davis' first great band with Philly Joe on drums has become the standard for hard bop drumming. Given the central role that this band plays in the history of jazz, it is important for every drummer to spend time listening and learning from the great Philly Joe. If you haven't checked this group already, the epochal prestige recordings and the album "Milestones" are the best place to start. In today's post we are going to be exploring one particular element of Philly Joe's playing that he popularized during his tenure with Miles, the Philly Joe beat. This beat is a thick sounding cross-stick played on beat four that replaces the usual snare drum chatter, typically used during a piano solo. In the example below from "Billy Boy" on the album "Milestones", Philly Joe starts playing the beat around 2:00. There are several musical reasons that Philly Joe used this beat so much. The first is that it would provide contrast between different soloists giving the music more contrast. 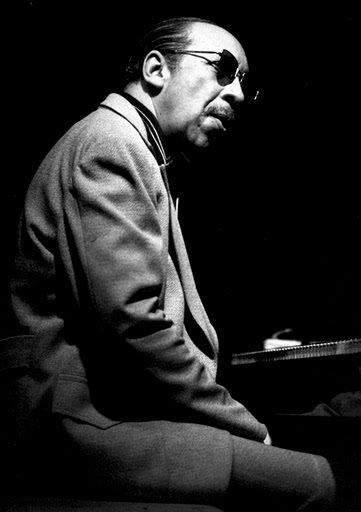 The second is that the pianist in Miles' band Red Garland played with a spare, open style (strongly reminiscent of Ahmad Jamal) that lent itself to less busy playing. And the third is that this beat really drives the groove hard without cluttering up the music with too many notes. The first thing to do if you want to learn how to use this this beat should be pretty obvious, play along with the suggested recordings above. Spend the time trying to get a good cross-stick sound and really digging into the groove. While you are playing along, listen to when Philly Joe uses this beat. Sometimes he waits until several choruses into a piano solo before starting, sometimes he jumps right into it, it all depends on what the soloist is doing. Once you feel like you have the basics of this beat down, try the following exercise from my forthcoming book "Melodic Syncopation" to free up your bass drum to comp.